If you’re wondering how to make a Gin and Tonic, it literally consists of 3 ingredients… gin, tonic and lime juice. Yes, the name says it all! It’s that simple and boy is it satisfying. 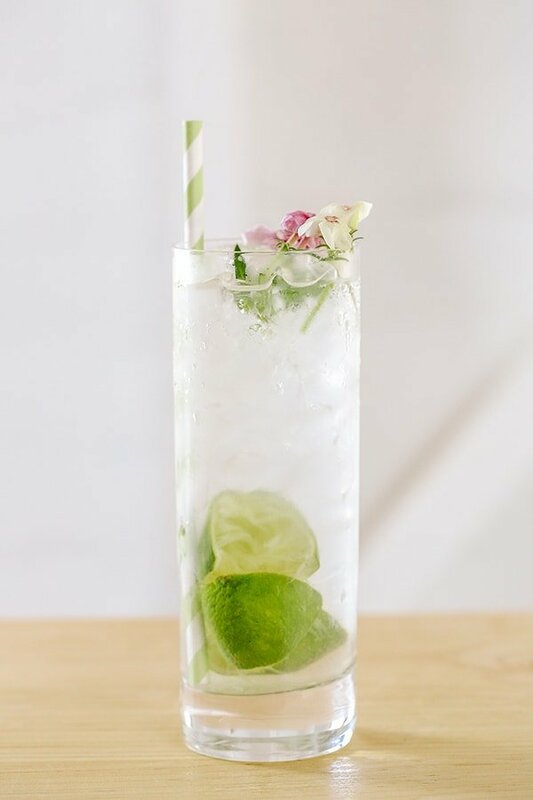 The Gin and Tonic drink has been around for centuries and was actually created for medicinal purposes in the 1700’s, wow! When I traveled to Zurich a few years ago this was the drink of choice. You could buy them as you walked down the street and they would serve up Gin and Tonics in to-go cups to take with you! That was fun! So what makes a G&T so good? Creating a balanced cocktail where you can taste each ingredient is the answer. And a quick tip: Use the small glass bottles of tonic water so it stays fresh and carbonated and avoids tasting flat. Stay charming! Add all of the ingredients in a high ball glass with ice and stir. Garnish with a lime or an edible flower. Cheers!